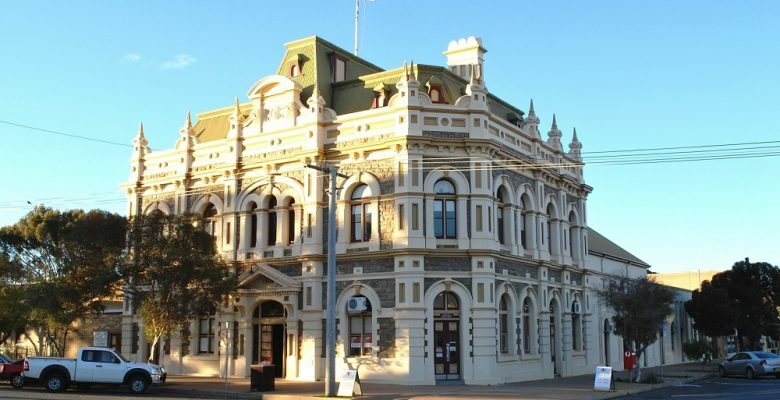 Known to many as ‘The Silver City’, Broken Hill is Australia’s first Heritage Listed city. The community has signifcant ties to a long-lived Aboriginal heritage and was named by explorer Charles Sturt in 1844. The community is famous for the setting that it has provided for many famous productions and the pivotal role that it has played in the mining industry. The ore-body that was discovered in Broken Hill is recognised as the largest and richest of its kind in the world and led to the establishment of the mining giant, Broken Hill Proprietary Company (BHP). Broken Hill is leading the way in the renewable energy industry with one of the largest solar plants in the Southern Hemisphere. The community is not only rich in history and a leader in various industries, it also provides a welcoming culture and a vivacious social environment that caters to all walks of life. Broken Hill is truly an oasis in the outback. Located approximately 200 kilometres east of Menindee along the Cobb Highway, Ivanhoe is a small township named after the Sir Walter Scott’s historical fiction novel. The township was once situated as a coach and stock route. Today, the community offers both locals and tourists the opportunity to experience the Great Australian Outback acting as a railhead and service centre for the surrounding pastoral industry. The Ivanhoe Heritage Trail offers tourists an introduction the towns history and the inviting hospitality provided by the local businesses provides comfort to travelers. Menindee is recognised as one the oldest European settlements in western New South Wales. The community is of great significance to the Barkindji people and was a base for Burke and Will’s expedition across Australia. Menindee’s thriving environment fosters an enormous variety of wildlife, supporting up to 222,000 water birds, and provides the ideal climate for ripening stone and citrus fruits. The nearby Menindee Lakes, a catchment of lakes along the Darling River, has the capacity to hold three and half times as much water than that of Sydney Harbour when full. This desitination provides the perfect setting for recreational activities such as fishing and camping. Locals and visitors alike can enjoy the vast open spaces and tranquility that this oasis in the outback has to offer. Founded in the 1880s, Silverton is an iconic outback community that rest against the picturesque Mundi Mundi Plains. The community is well known for the backdrop it has provided for a large variety of films, TV series and commercials. Silverton has a thriving art culture, plays host to annual music events and offers an array of unique attractions for exploration. The community is leading the way in renewable energy with the establishment of a wind farm that will host 58 turbines. Silverton is surrounded by breathtaking landscapes that epitomise the beauty that the Far West encompasses. Located in the heart of Corner Country, Tibooburra is another iconic community in the region. The community has an extensive pioneering history and the surrounding area has been home to the Wadigali, Wongkumara and Malyangapa Aboriginal people for thousands of years. Charles Sturt was one of the first Europeans to visit the area in 1884. 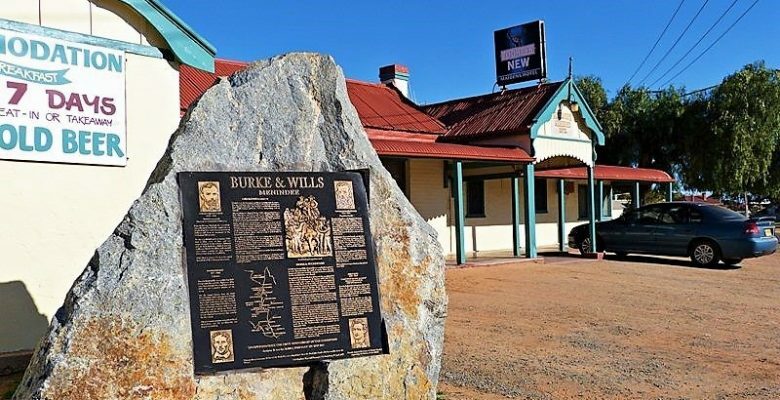 The later expedition of Burke and Wills led to the opening up of the area for the pastoral industry and the exploration of gold. 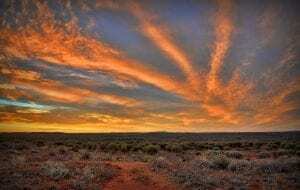 Today, Tibooburra and the surrounding communities offer extraordinary hospitality, breathtaking untouched land and a true outback experience for both locals and tourists. White Cliffs’ establishment in 1890 can be attributed to a sense of exploration that had led to an extensive mining history. The community’s commercial opal field is considered to be the first of its kind in Australia. It is not uncommon to find locals or visitors fossicking for opal, in fact White Cliffs welcomes visitors to try their hand at fossicking for the gems, so as long as the claims that they are searching are not active. If fossicking isn’t for you then there is plenty of opal for sale. The community is also recognised for its underground dwellings where visitors can stay the night or enjoy a variety of activities that the community has on offer. White Cliffs is the gateway to the Paroo Darling National Park which boasts a rich cultural and environmental history. The community hosts a wealth of annual events that attract people from far and wide and allow visitors to experience a unique part of Far West NSW. 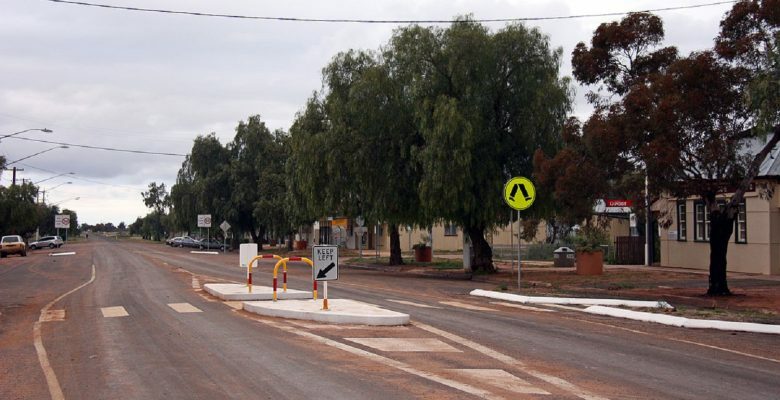 Founded in 1866 as a port on the upper Darling River, Wilcannia is a community in Far West New South Wales that is steeped in history and culture. The community has a longstanding Aboriginal history that is continued today by the Barkindji people that inhabit the land. The town is also significant as a result of its mining history, its iconic role in the brewery industry and its positioning as a port along the river. The community reached its height in the late 1800s, with gold and opals being discovered in the area and the establishment of Edmund Resch’s Red Lion Brewery. During this time the port attracted visitors from far and wide. Today, the community is recognised for its extensive ties to traditional Aboriginal culture.